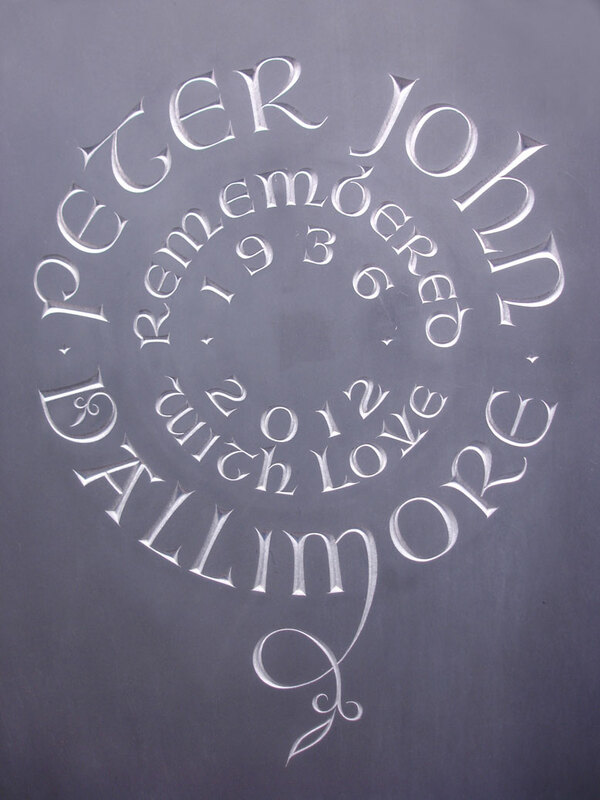 This page shows various memorials that I have hand lettered in Slate. 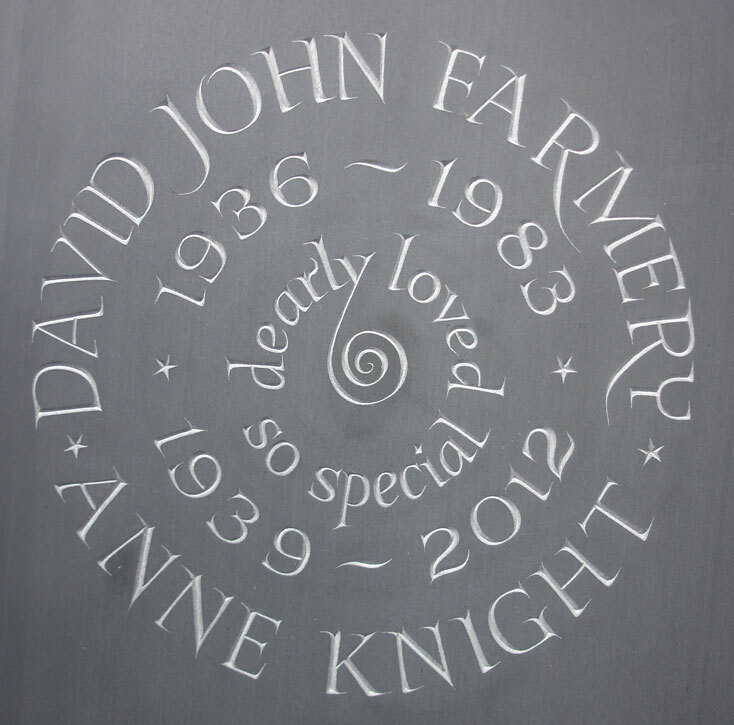 Designs can be achieved in many forms from the rectangular stage through to circular and the more rustic appearance. 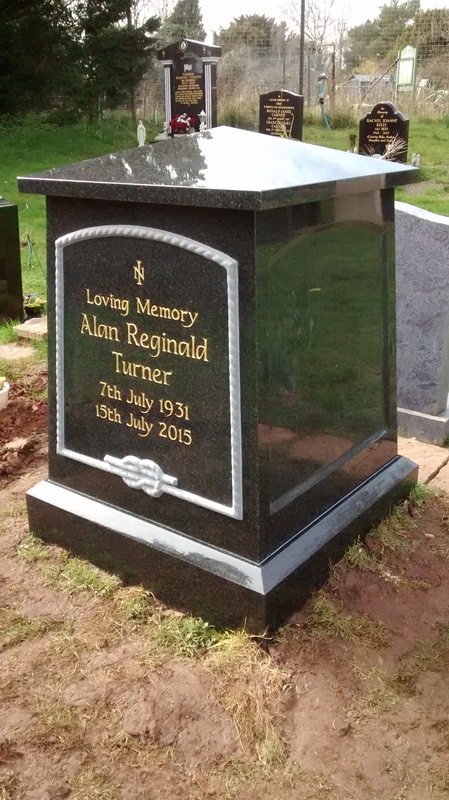 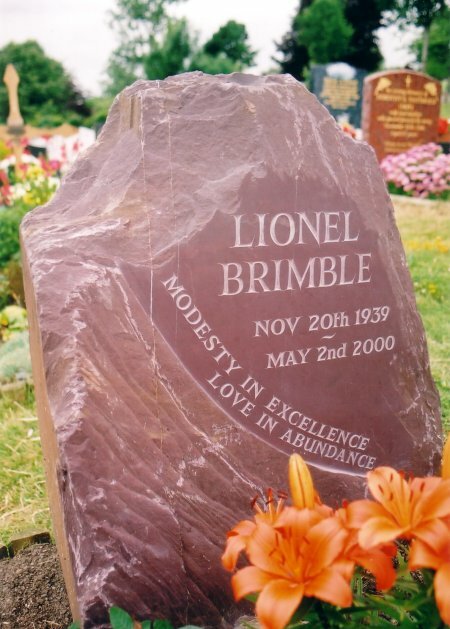 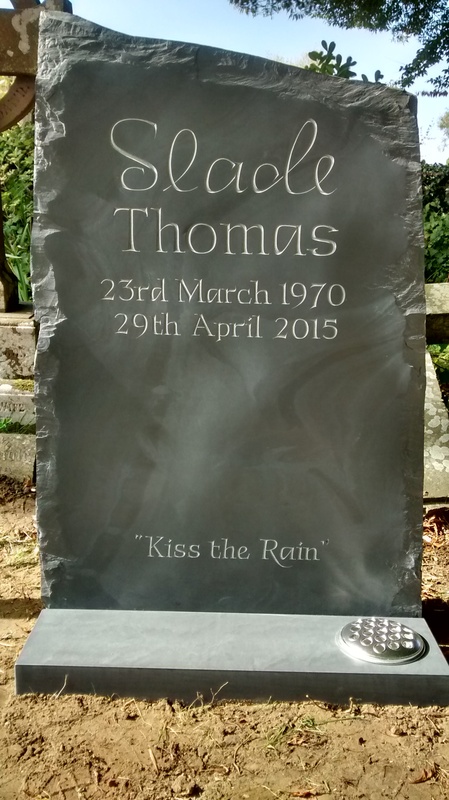 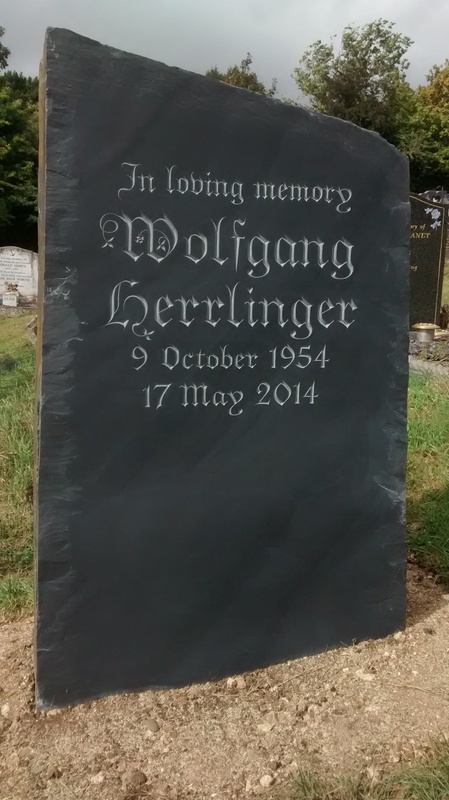 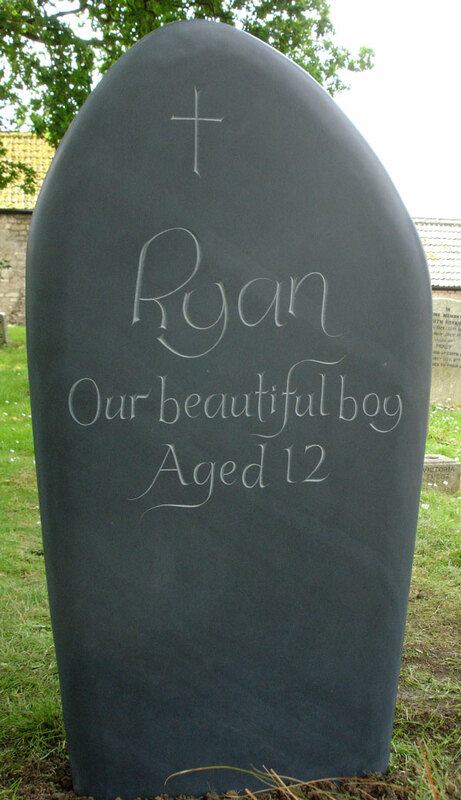 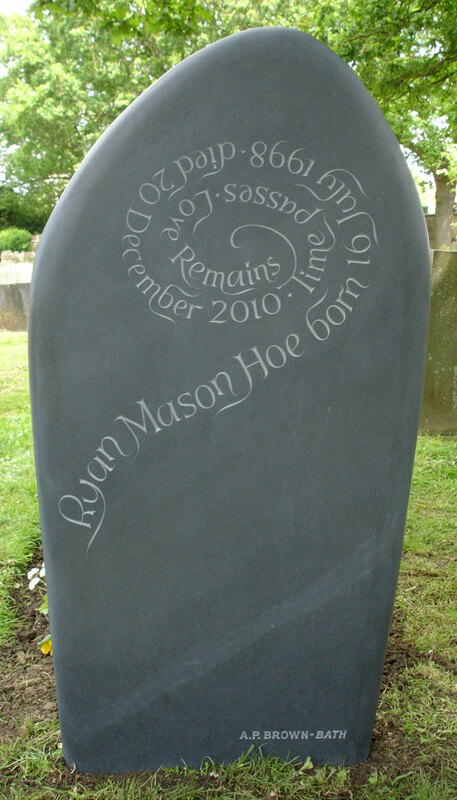 A natural Welsh slate boulder with the Christian name carved to copy the gentleman's signature to make the memorial stone more personal. 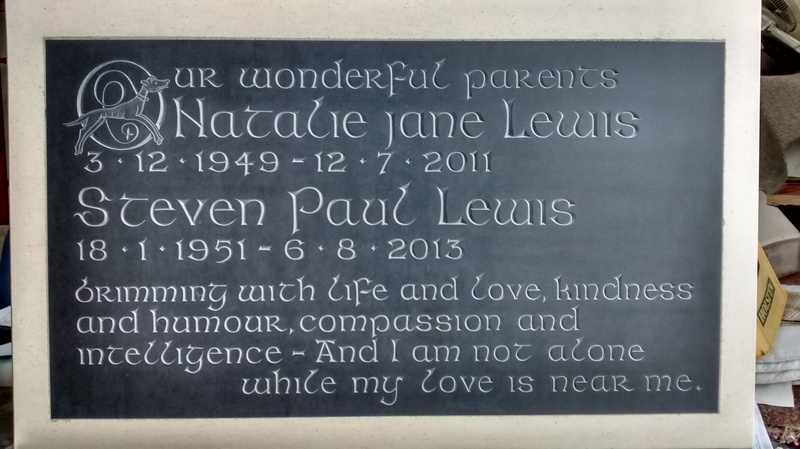 A Welsh slate plaque set in to the face of a Portland stone tablet. 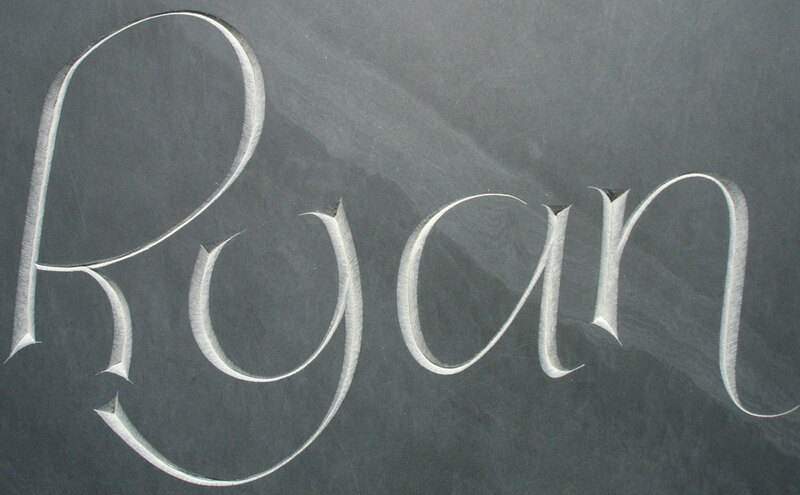 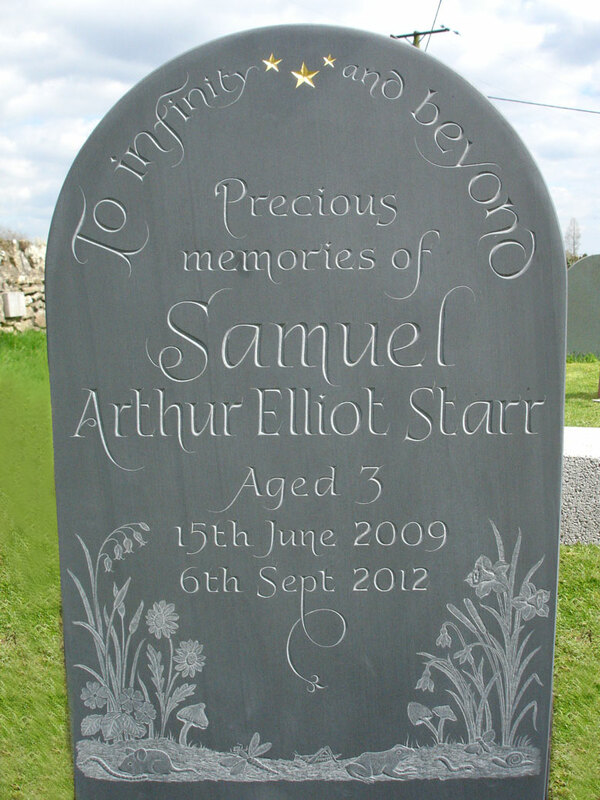 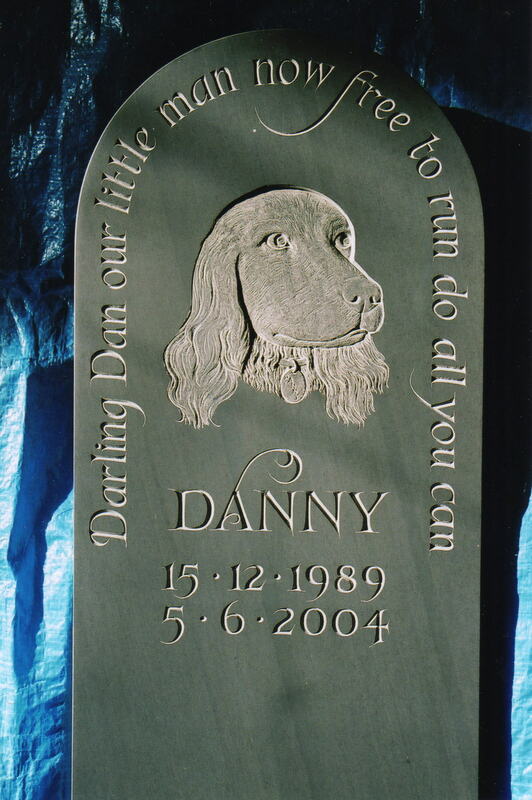 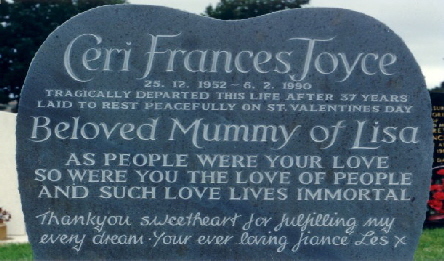 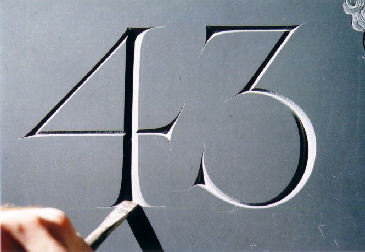 Lettering is hand carved in a Celtic font with the leading letter illuminated with a dog design to make it more personal.